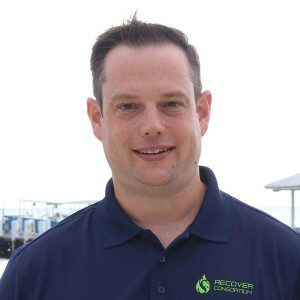 Aaron Roberts is an Associate Professor of Environmental Science in the Department of Biological Sciences and Institute of Applied Science at the University of North Texas. Dr. Roberts earned a BS in Biology from the University of Missouri and his MS and Ph.D. in Zoology from Miami University. He has been a faculty member at UNT since 2006. Dr. Roberts’s laboratory studies the effects of a wide range of chemical contaminants including mercury, nanoparticles, and PAH on aquatic biota including plankton and fish. His role in the RECOVER project is focused on determining how ultraviolet radiation in sunlight enhances the toxicity of oil to pelagic fish. This interaction, called photo-induced or photo-enhanced toxicity, can increase the toxicity of PAH by several times. In open ocean systems where UV exposure may be quite high, this phenomenon likely plays an important role in the impact and subsequent recovery of ecosystems following oil spills. RECOVER represents a unique and exciting opportunity to study the mechanisms by which photo-induced toxicity occurs as well as adaptations that may allow species to recover from toxic impacts.